Watch a video of our volunteers in action. The Housekeeping Department would not be able to keep our 110,000 square foot building clean without the help of amazing volunteers! Volunteers assist in our on-site, licensed, 4-star Parent Aware rated, all-day school for infants, toddlers, and preschoolers, which provides a safe environment focusing on areas of development that may be adversely affected by homelessness. Education & Enrichment Volunteers help foster a child’s lifelong enjoyment of learning through enrichment activities, one-on-one tutoring, and recreational opportunities in an inclusive, comfortable environment that includes caring adults and other children. Learn more about the volunteers who make it possible to serve over 235,000 meals each year at People Serving People! Play and Learn is a program that allows parent and child music playtime and exploration led by an instructor from MacPhail. 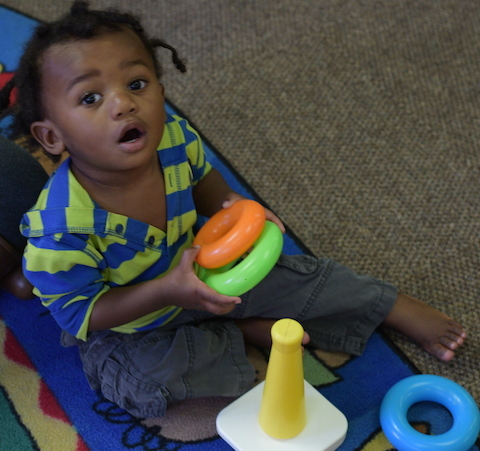 Afterward, our volunteers help to provide fun, interactive and energetic playtime for children ages 6 months to Pre-K while their parents attend a class led by Minneapolis Crisis Nursery. Resident Resources Volunteers ensure families receive efficient service by distributing basic needs items, answering phones, and handling questions. One item that volunteers help hand out is diapers; over 13,000 diapers every month!